Understanding Your Food History is the Key to Lifestyle Changes! Weight Control may be the only area of health care, where a person's history is totally ignored! Most people gain back the same weight, with the same foods, on the same days of the week, at the same times, over and over again! by Stephen Gullo! It's a life changing book! He stresses that it is not will power that will help you to lose weight and keep it off, but strategies! I love this! Practicality wins out! Knowing your food history should be your goal! It's ridiculous to gain back your weight, with the same foods, on the same days of the week, at the same times, over and over again! But that is what we all do! 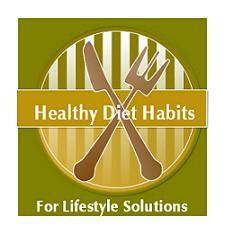 You do not need a complete diet makeover! Quit dieting! Look at your personal history with food and evaluate how you have gained weight! Figure out your patterns of eating and devise simple strategies that work! No one's history is the same, and no one uses food the same way, or lives in the same environment! Evaluate your food history and each place that you come in contact with food and strategize! That is what each person needs to do! Get help if you can't figure it out yourself! Trigger Foods - Those foods that cause you to overeat. You may be able to keep them in your diet, but you may decide that they do not work for you! No deprivation, but common sense! Chocolate or Health? Trigger Behaviors - Those behaviors that lead you to overeating, like skipping meals, picking at food with your fingers rather than plating your meal and eating at the table, finishing every food item on your plate even when you are stuffed, lack of portion control, and there are many more! Trigger Situations - Those parties or events that constantly do you in. Maybe it is your weekly movie, sporting event, fast food with your kids, Friday happy hour, or so many other weekly events you face, that are your undoing! Trigger Times - Those times of the day or week that cause you to go nuts. Do you clean out the refrigerator between 4 and 5pm before dinner, snack non-stop on the weekends, or are nights impossible for you? Your personal food history will show you all of your unique eating patterns and how you deal with food in your life. You are predictable in what you do! You should be able to use your food history and develop healthy diet habits to use in your predictable food situations, times, behaviors and with specific foods! Small lifestyle solutions that are specific to you will help you to win at weight loss!